Junk drawer organization for good is something that I seem to struggle with in my home. 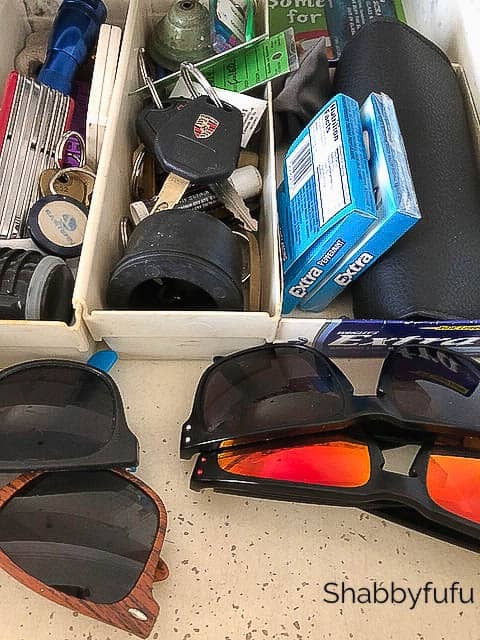 Everyone has a junk drawer, even if they don’t want to admit it! 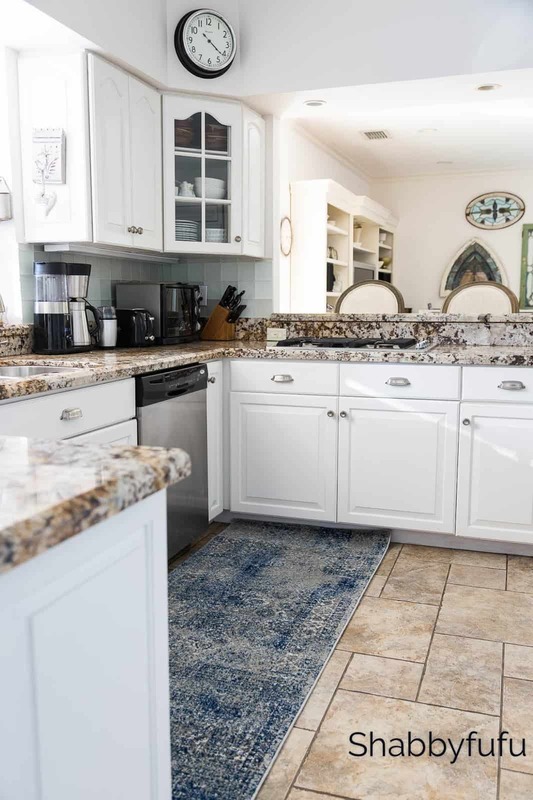 It’s the one space in the home that is sort of no holds barred for anything that will fit, and often in the kitchen which is command central in most houses. This is our kitchen and I’ve been doing lots of cleaning and organizing the last couple of days, so today it was time to tackle the cabinets and drawers. It seems that everything that doesn’t have a place in the rest of the house ends up in the junk drawer, which is affectionately known as “the drunk drawer” since it looks like someone was slightly off tossing everything in 😉 The result is a messy drawer overflowing with clutter. The good news is, you don’t have to lose the battle of the junk drawer. 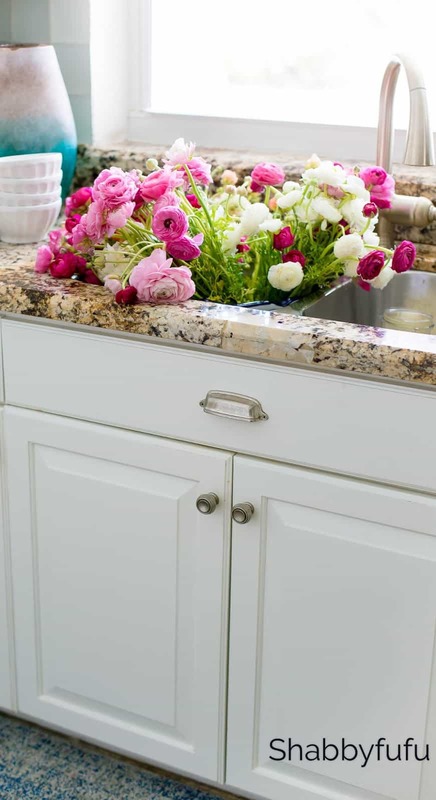 There are ways to get this space under control that you might not have thought of. Here are some tips on how to get that junk drawer organization done for good, so you can make the most of this space! First things first! Empty the drawer out entirely so you can get an idea of how much space you have to work with. This also allows you to see everything in the drawer and evaluate what you need and don’t need. So grab a bag, and dump that drawer out! When is the last time you measured the junk drawer? 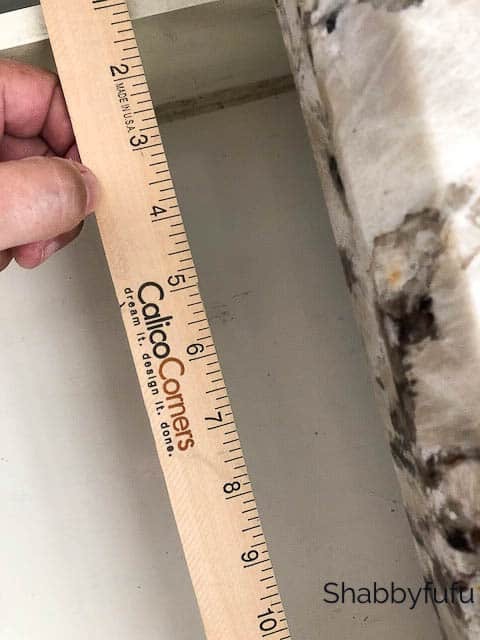 Take measurements of the width, length, and depth and see how much space you have to work with. This information will come in handy when you buy organizational baskets and inserts. 3. Find Inserts to Fit. Now that you know the measurements, find inserts to fit. These inserts are perfect for keeping all of the small pieces organized. They are great for pens, pencils, office supplies, chargers, and all of the other small items that tend to end up in this drawer. I did double duty in my kitchen, utilizing some small older plastic food containers that I was going to toss. 4. Trash and Clean It. Throw out anything you haven’t used in 60 days. If you haven’t used it, trash it. Don’t hang onto something and add to the clutter because you think you might use it. Instead, stick to the rule that if you haven’t used it in 60 days, you don’t need it. This should help clear away a good deal of items taking up precious space. Then give it a good cleaning. My junk drawer looks pretty disgusting, but actually most of it are the scratches to the MDF board that was used inside. I used some Simple Green and paper towels and it came out looking good. Hair ties, makeup, jewelry, and other accessories that have a home should not be in the junk drawer. Remove all of these items and find them their proper home. 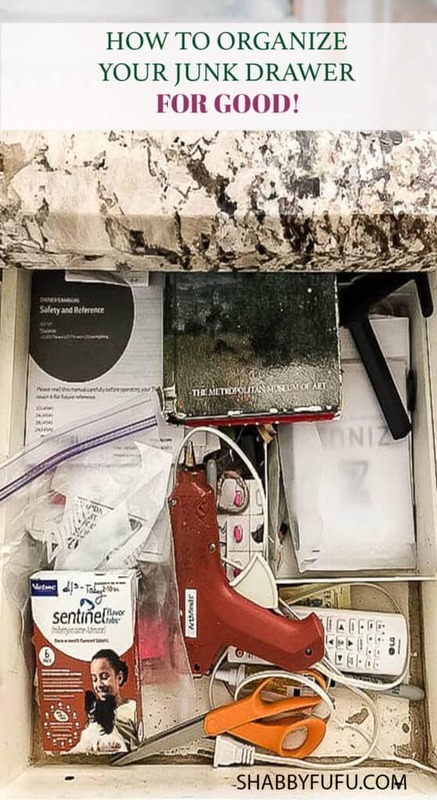 Does your significant other have a drawer of his own? This is my husband’s drawer and never the two shall mix! Neatly organized with plastic bins in another area of the kitchen close to the back door so he can grab and go. 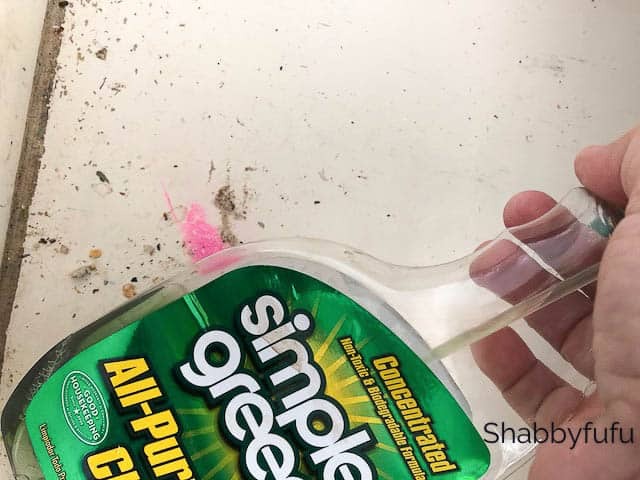 Spend 20 minutes a week checking the drawer and cleaning out unnecessary items. Winning the war of the clutter is a marathon, not a sprint. Spend a few minutes each week checking on the drawer and removing any items that don’t belong in it. 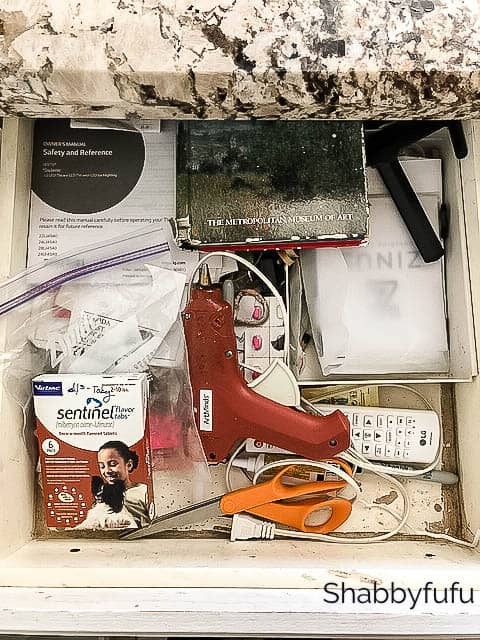 Make sure that your spouse and children know that the junk drawer is a group effort. Encourage them to help out in maintaining the drawer and to be mindful of how they use it. 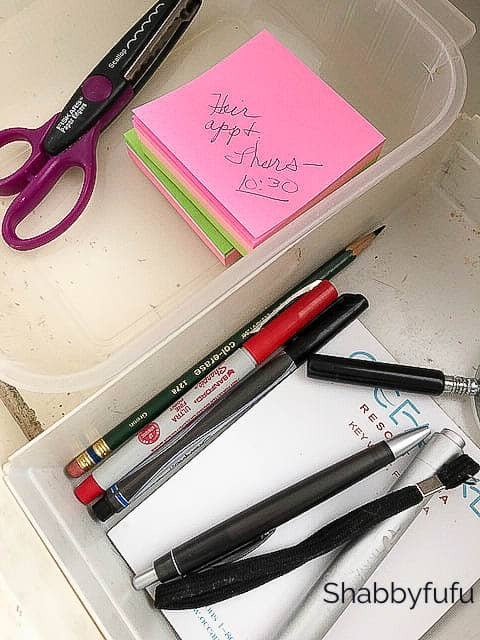 Are you ready to say conquer junk drawer organization? Then try these tips on how to get rid of the junk drawer for good, and reclaim your drawer space once and for all. 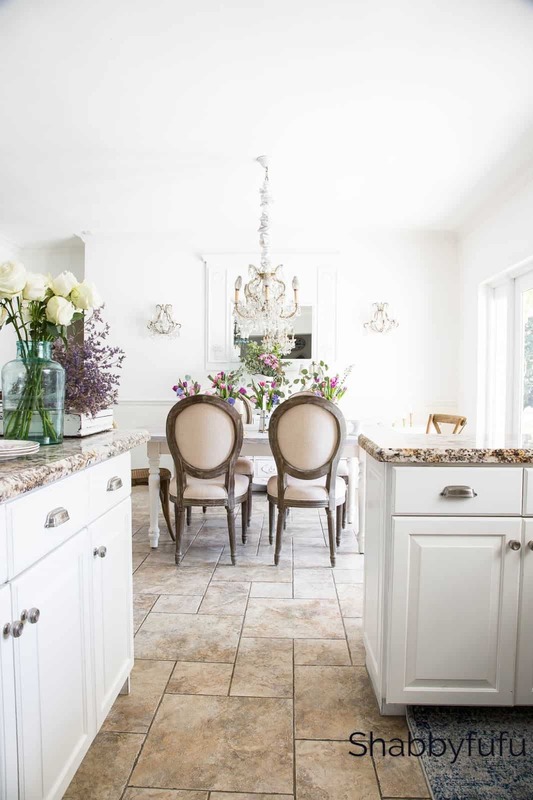 Your beautiful kitchen will love you for it! 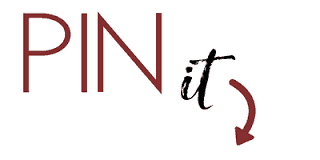 SUBSCRIBE and receive our free 12 page calendar and our printables! I have a junk kitchen utensil drawer. Seriously, why do I have a melon baller? I have had that thing 15 years. Never made melon balls. Think I’ll use the same idea and tackle that today. I did it I did it x2 !! LoL I did this a day or two after the j.d. POST. I ‘tackled’ the junk drawerS !! NOW there is one. WE now have an extra utensil drawer in the kitchen. For those tools occasionally used AND room for a tape dispenser and h.h. scissors.😊 T.Y.